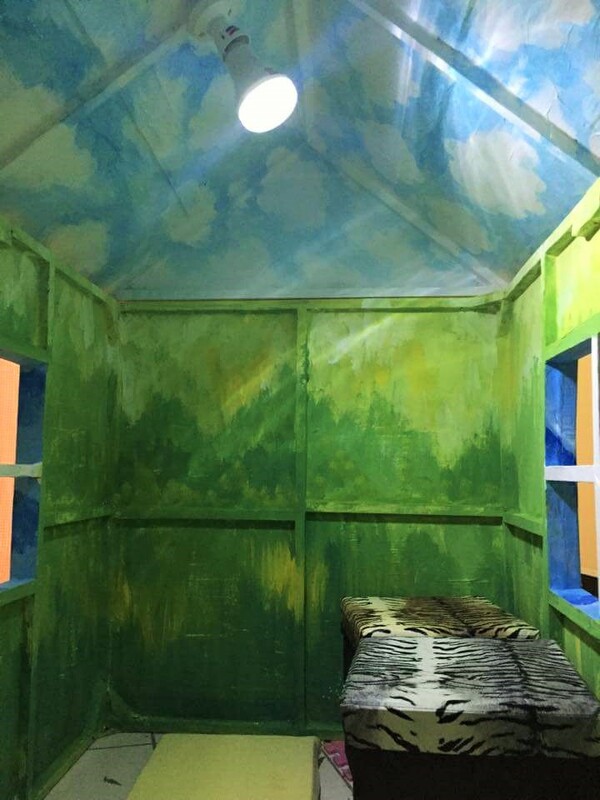 Remember the animated Pixar-movie UP!? 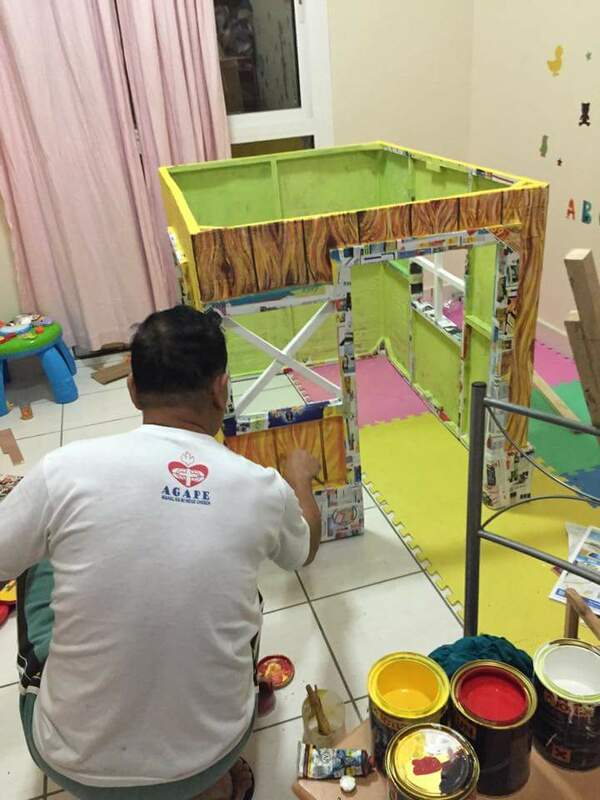 This Grandfather shows his unconditional love to his 3-year old granddaughter Ellie by building her an incredible and stunning playhouse inspired by UP! 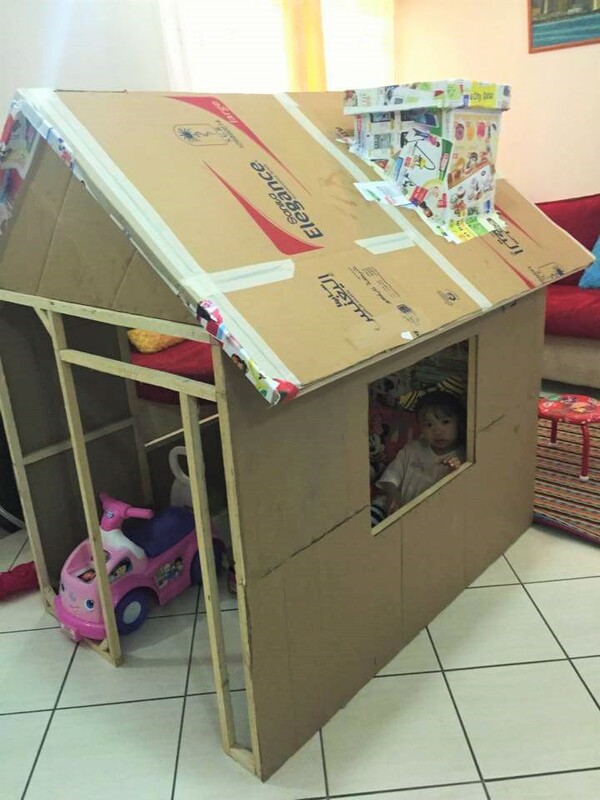 made of used cardboard boxes and adding some touch of love. 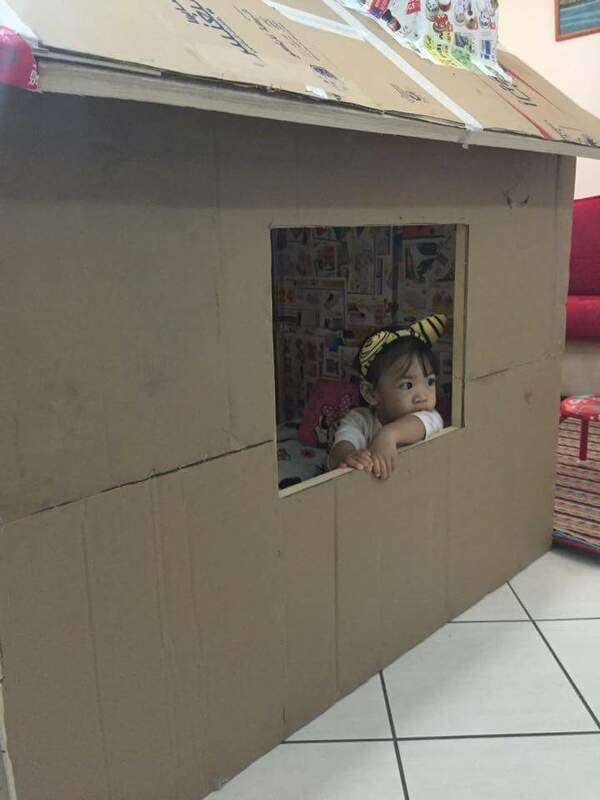 While babysitting little Ellie, Grandfather Jeh Caparas from Philippines created a cardboard playhouse by hand. 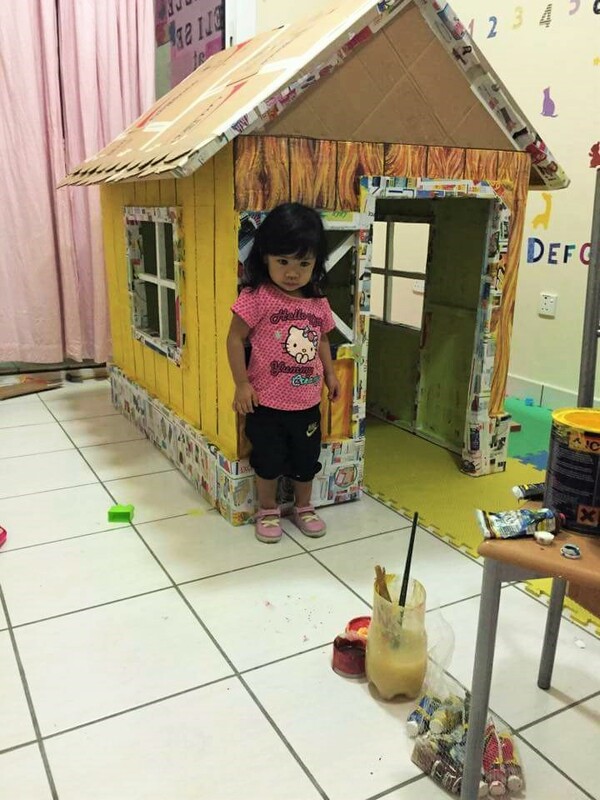 Ellie's parents both working as Filipino registered nurses in Doha, collected used cardboard boxes and Grandpa started building foundations for the playhouse. 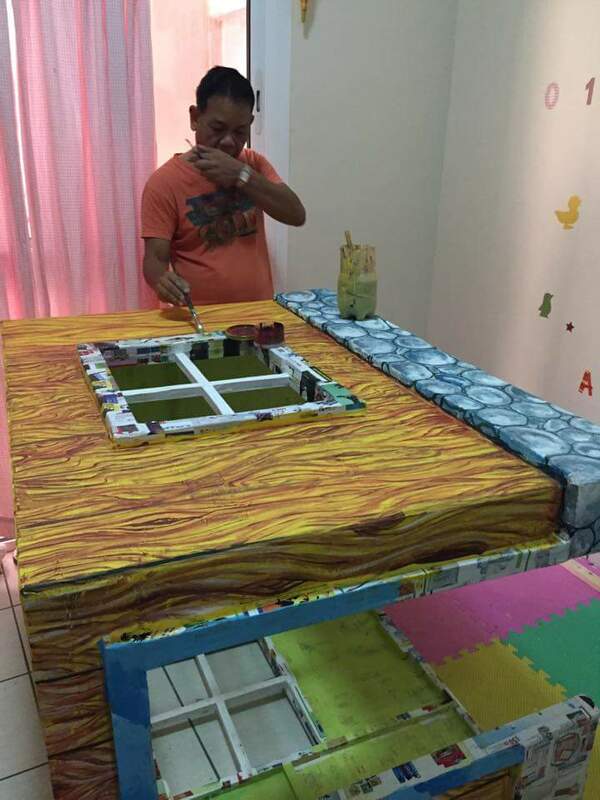 Possessing talent on painting, he also artistically painted the house and even let his granddaughter helped in the process. 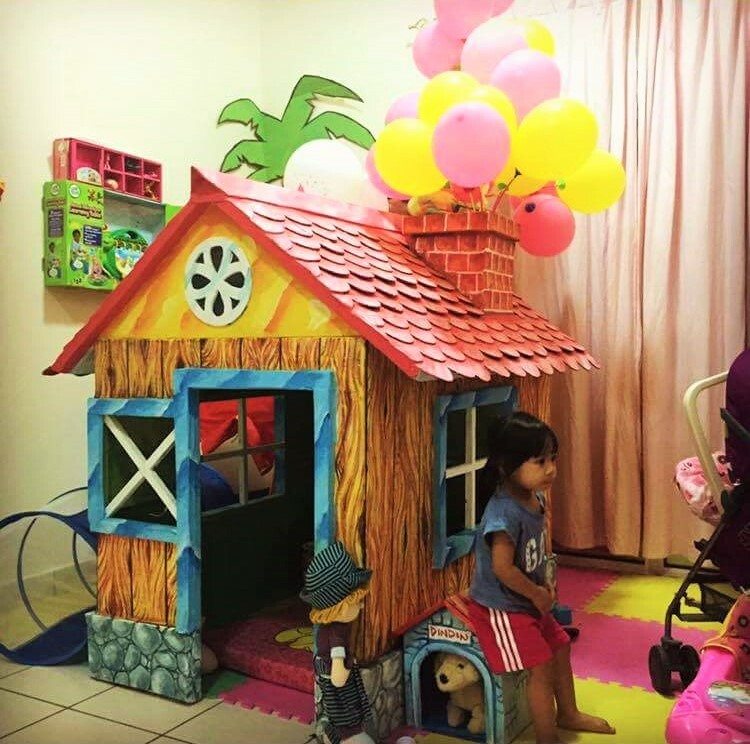 They do things together, and they are inseparable! 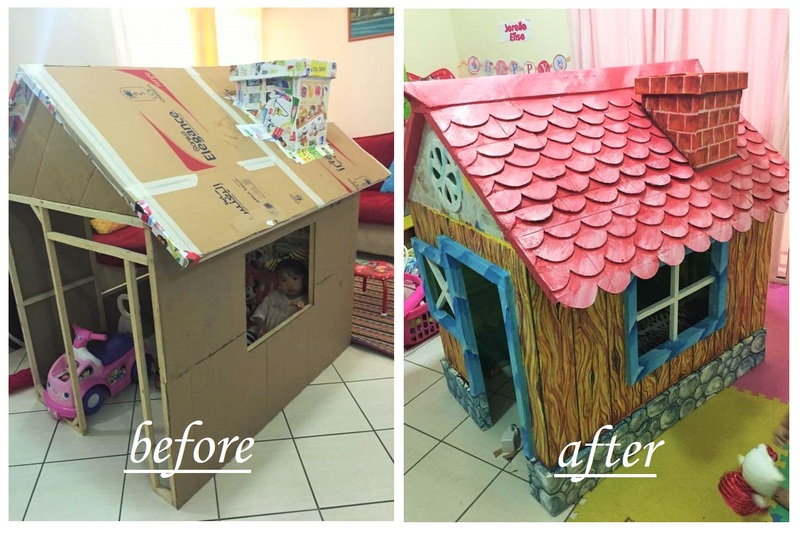 The finished playhouse is not only fantastic and adorable, its a product of unconditional love between the two. 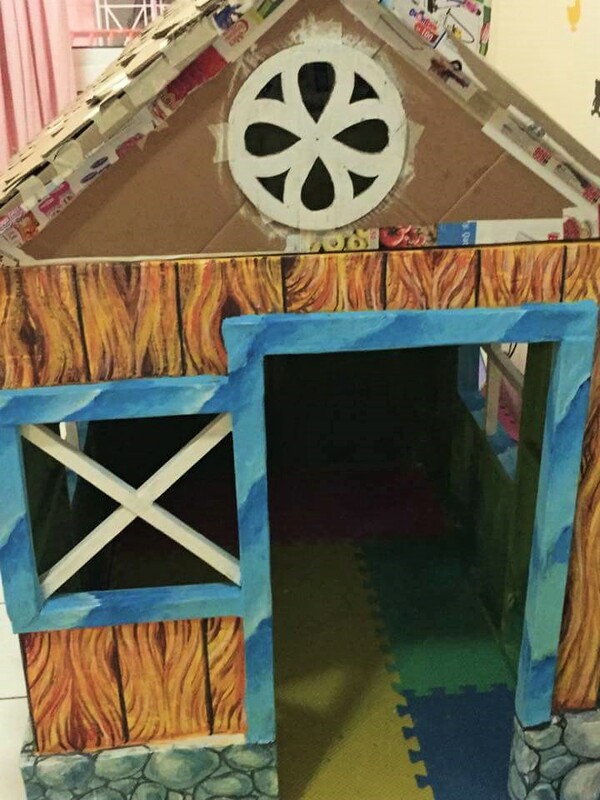 Grandpa Jeh built a foundation for the playhouse using scrap woods. 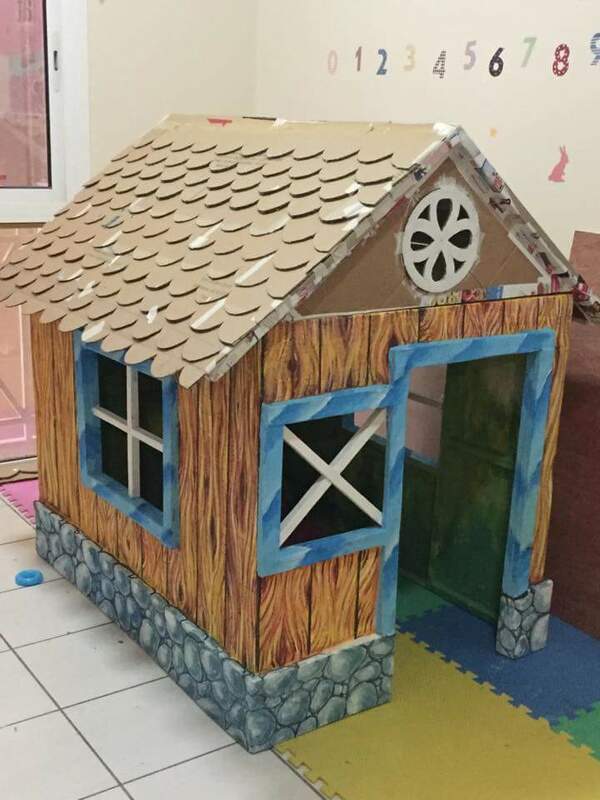 3-year old Ellie is so excited for her dream house! 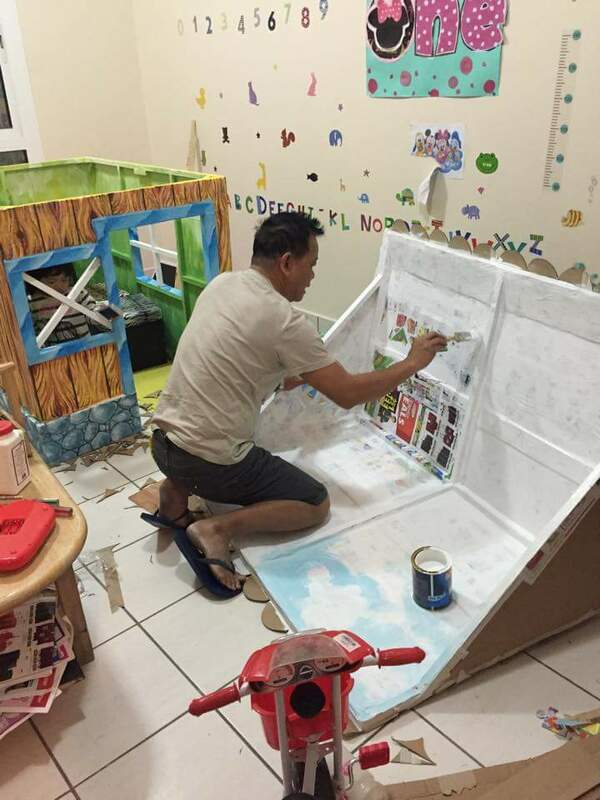 Grandpa (being an artist-at-heart) artistically painted Ellie's dream playhouse. 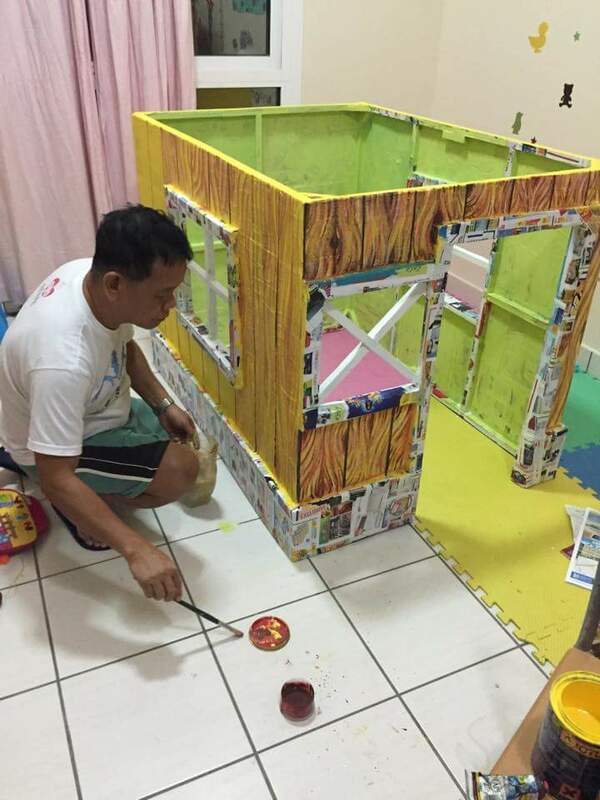 Grandpa Jeh even painted the interior part of the playhouse. 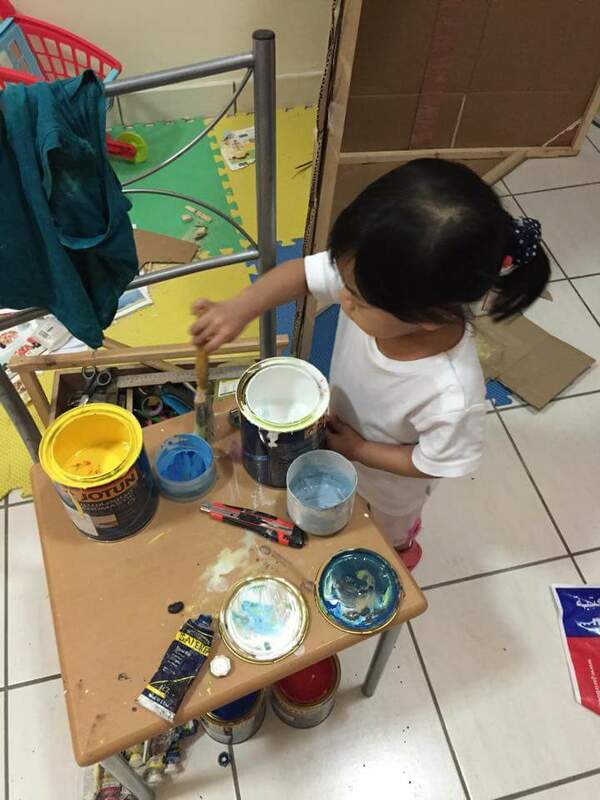 And even allow Ellie to help him in the process. Grandpa also installed a light-bulb so that Ellie can feel more homey. .... are you feeling jealous? ... Guess what? 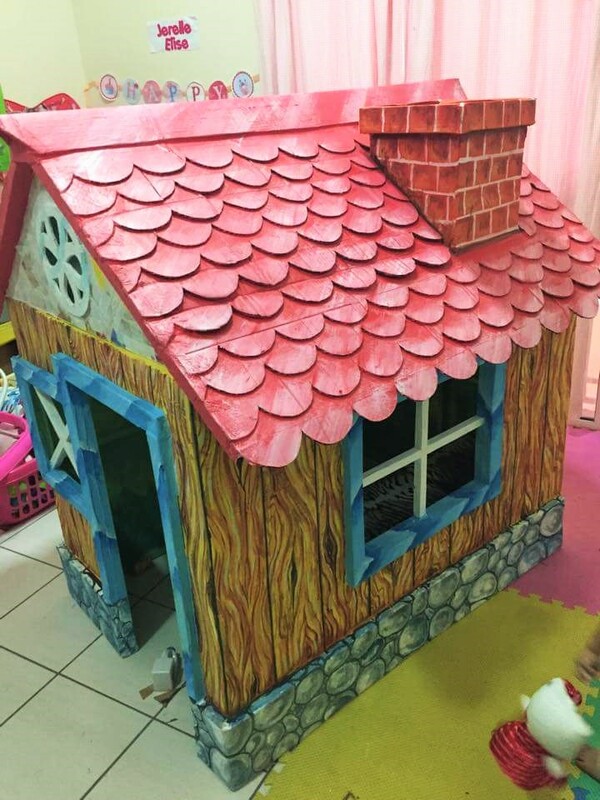 Even her puppy toy Dindin, has it's own doghouse! 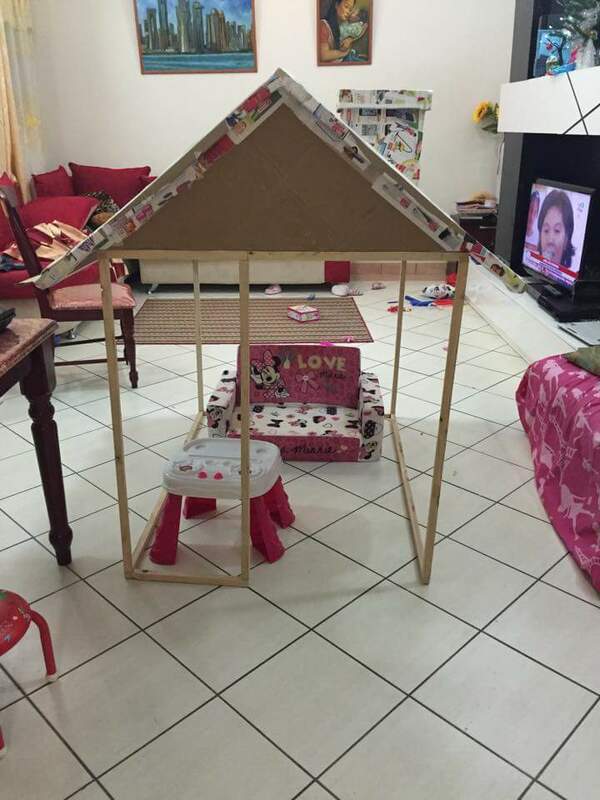 You may also want to check out this Filipina Mom who creates a DIY cardboard playkitchen for her little daughter. even us here are feeling jealous! yeah, stay tune for their next project!